Speaker ports — not disappearing anytime soon! 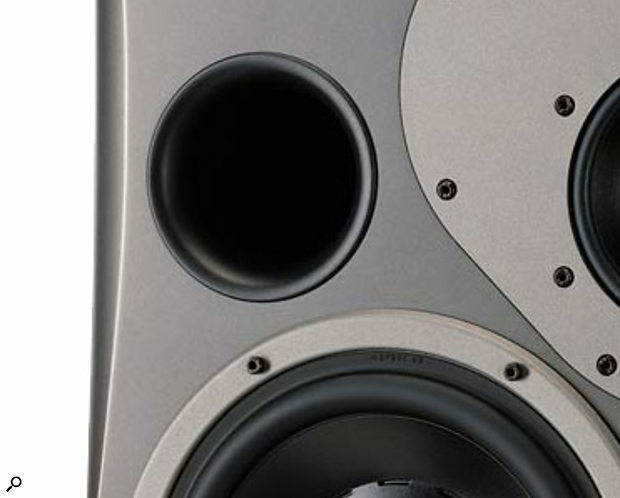 The fact still remains that, for same-size bass speakers (enclosure, driver), bass reflex is 5dB more efficient at the cut-off frequency, or if the same efficiency is the aim, bass reflex goes two thirds of an octave lower (or any mix of these). Normally bass speakers are limited by distortion (peak-to-peak excursion), not by the available amplifier power. So simply using a cheap Class-D amp four times more powerful for the closed box does not make the efficiency problem go away, the closed box MUST be almost twice as big as in the bass reflex cabinet to play as low and loud. With a closed box, all the bass volume comes from the driver directly, while with a bass reflex the driver excursion at the cut-off frequency is quite minimal, as the sound actually comes from the reflex opening, the driver only exciting the resonant frequency of the enclosure. So the recent developments in amplifier technology have not changed the laws of electro-acoustics one iota, and bass reflex monitors are here to stay. 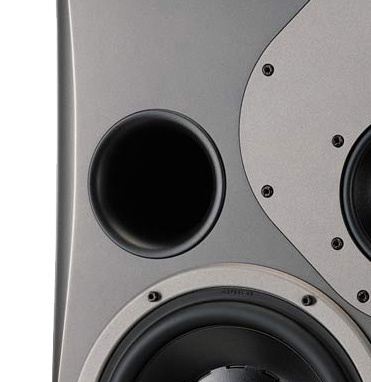 SOS speaker expert Phil Ward replies: I’d absolutely agree; ported monitors are here to stay and amplifier technology hasn’t changed the laws of electro-acoustics. What Class-D amplification has enabled manufacturers to do, however, is consider equalised closed-box low-frequency alignments that simply aren’t feasible with traditional Class-A/B amplifiers (especially in the case of compact monitors). Of course, equalisation does nothing to change the fundamental low-frequency trade-off (efficiency/bandwidth/box volume) that’s inherent in any moving-coil speaker system, so an equalised closed-box system will still be less efficient than a similarly dimensioned reflex system (and yes, it will likely require a bass driver that provides somewhat greater maximum diaphragm displacement). However, things are never in practice as clear cut as the theoretical 5dB efficiency advantage of a reflex system would suggest. Firstly, reflex systems never operate at theoretical maximum efficiency. One problem is that it’s almost impossible in practice to keep the Q of the port resonance high while at the same time minimising internal enclosure and port-pipe resonance; as soon as you put wadding in a ported box to suppress internal or pipe resonance, the Q of the port resonance will collapse. To get close to the theoretical 5dB advantage, you need the port Q resonance well over 10. Stuff the box with wadding, though, and it’ll drop to five or less — and a good chunk of the 5dB advantage will be gone. Secondly, ports begin to become non-linear at surprisingly low air-flow velocity, and once you’ve lost the laminar flow of air you begin to swap a box with a hole for one with helpful resonance. So, not only will you, again, lose a significant chunk of your 5dB, you’ll find the port contributing all sorts of audible distortion and compression effects. And lastly, of course, there’s the time-domain character of ported systems — both group delay (slow to start) and hangover (slow to stop). There’s good evidence, both anecdotal (the longevity of the NS10, for example) and objective, that these effects are audible and often not helpful in a mix environment.